We all need to view documents in our smartphone. These documents may be simple word documents, excel files, presentations or pdf. To view them we need to have some office tool install in our smartphone and there are a number of apps available in the Android app market but we cannot download separate apps for viewing our docs file, separate app for pdf, for ppt etc. Let us have a look in each of them. 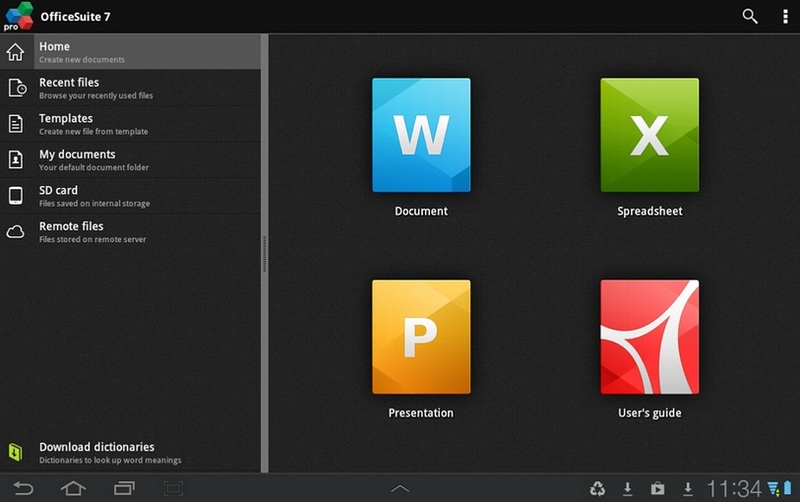 Quick Office is one of the most popular office suit for Android. The best thing is that it is available for free. 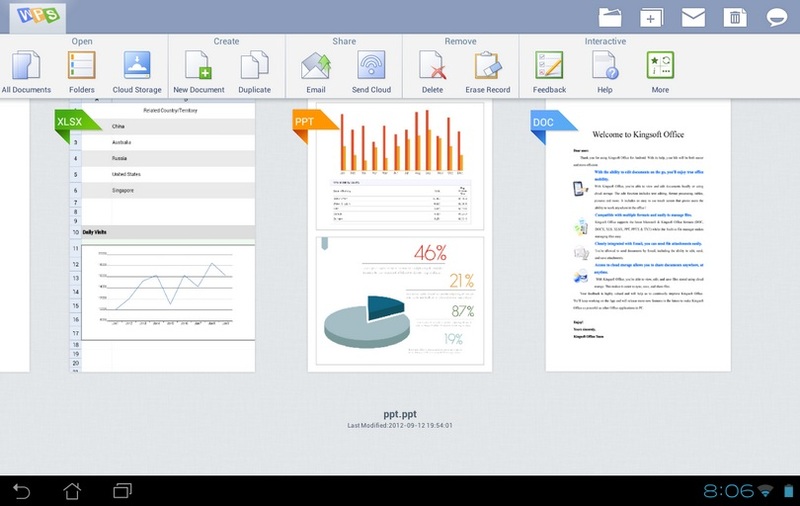 With this app you can create and edit your office documents, presentations or spreadsheets. If you sign in with your Google account then you can sync your Quick office with Google drive and save your work there. You can also access documents from your Google Drive. Google Docs provides you the facility to make your data mobile. Save any file in the Google Drive and access it from anywhere. With the Google Drive Android app you can access your photos, documents, presentations, videos or other files. You can save up to 15GB of data in your Google Drive for free. Make your files available offline so that you can view them without needing internet connection. 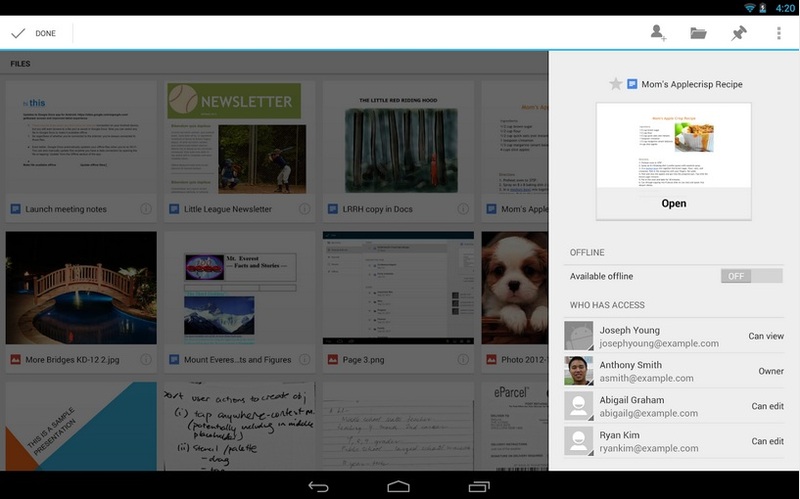 You can also view documents that others have shared with you on Google Drive. Use Google Cloud Print to print your documents in one go. Kingsoft office is also a very popular and loved office suit. This app is rich in editing features. This app takes little space on your device and helps you in accessing all your documents be it a ppt, pdf or docs file. Kingsoft Office also integrates cloud services. You can save your data in Google Drive. It has tight integration with mail services so you can view files attached in your mail. It has a variety of gestures also that makes it more interesting. 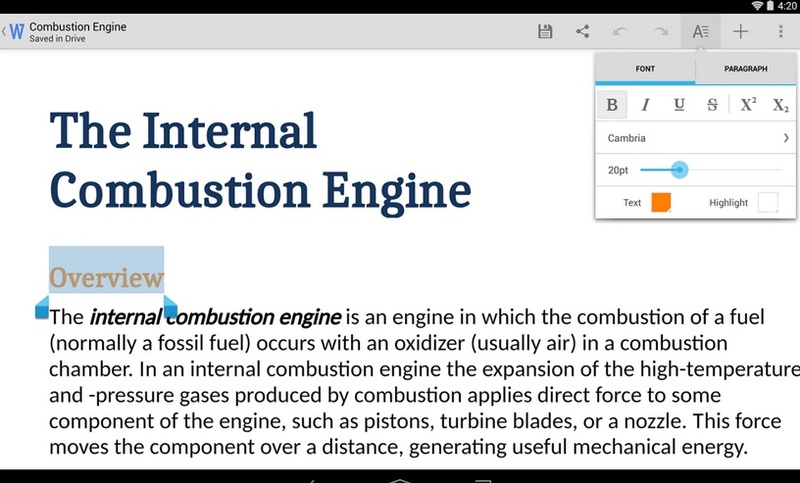 You can bookmark documents or pages for quick viewing. It also has spell checker, variety of graphics options like equations, symbols, numbers, tables etc. 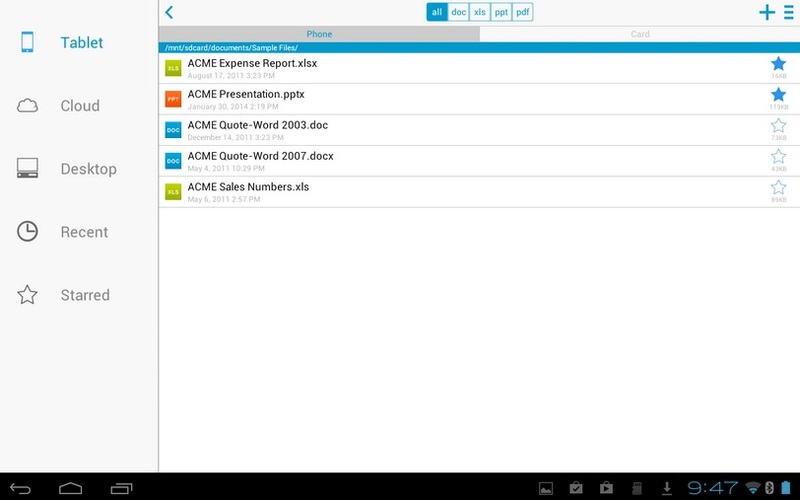 Documents to Go is a free office suit for Android devices. You can view, edit and create Microsoft office files and view pdf files. It offers multiple file save and synchronization options. Save data on the cloud storage to access them from anywhere. Edit your documents and save them directly to your device. Send and receive email attachments from your app. Sort your files alphabetically, time, modified or size. Office Suit Pro is a feature rich office suit but it is not available for free. It costs $14.99. It comes equipped with a free font pack. There is a tight integration with Box app. You can save your data to the client app that too with a tight security. You can easily open email attachments, work with Outlook EML files. You can also share your documents using email or Bluetooth. The app is integrated with Quickspell that helps you in typing accuracy. While reading office documents you can also look for complicated word’s meaning in the famous Oxford dictionary. Let us know your views about this article in the comments. If you think we missed a better app in the list then please share it with us.